When Gustha's Scepter leaves play, put all cards removed from the game with Gustha's Scepter into their owner's graveyard. T Remove a card in your hand from the game face down. You may look at it at any time. 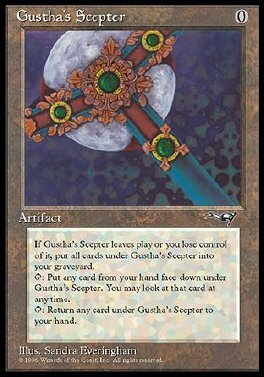 T Return a card you own removed from the game with Gustha's Scepter to your hand.